Welcome to month 2 of 12 Months Of Metal! 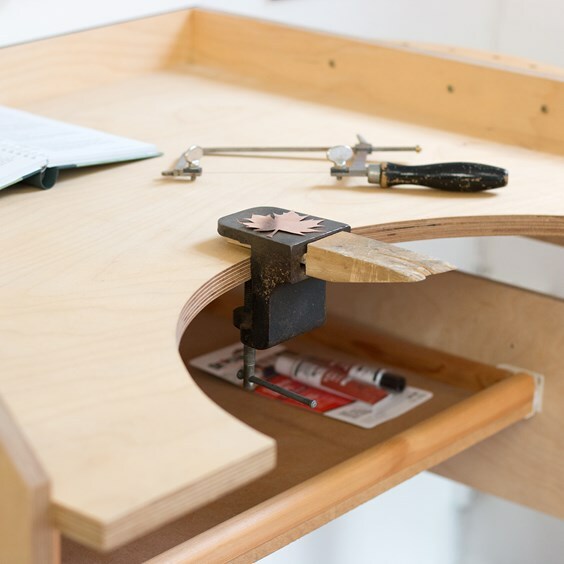 This month, Kim shares tutorials and top tips on using a jewellers saw. Follow Make It Kim on Instagram and don't forget to come back for a monthly round-up on the Kernowcraft blog! Watch Kim's tutorials throughout February below and find all the jewellery supplies you need with Kernowcraft. Kim shares a breakdown of the many saw frames and saw blades to choose from. She also shows the best technique to attach saw blades, drawing your design onto metal and then using a saw to cut the shape out. "I use 4/0 blades 90% of the time but you can find metal piercing charts online that tell you the recommended saw blade size for the thickness of metal you are cutting and the smallest drill bit you could use if you needed to thread the saw blade into your metal to pierce internal shapes. The general rule is the blade should have at least 3 teeth touching the thickness of the metal at all times." The blade has to be inserted into the saw correctly - saw blade teeth pointing away from the saw frame and down towards the handle. 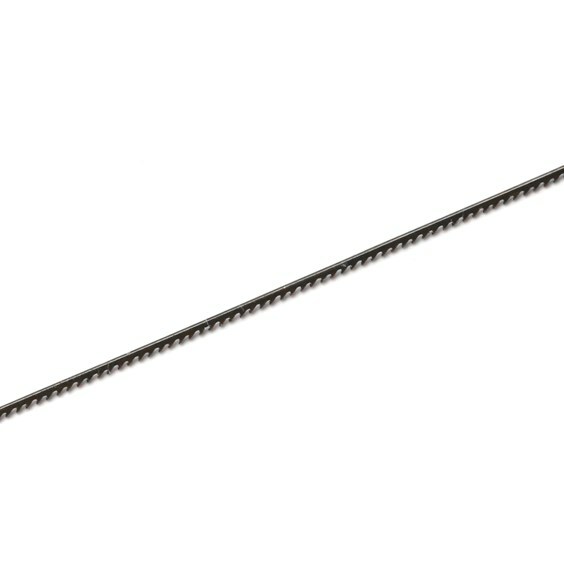 Taught saw blade that makes a high pitched ‘ting’ when pinged with your finger. Don't push or jerk the saw. Have a soft hand grip – stick your pinky out! Support your metal well so it’s not jiggling about. When you need to turn corners make sure your saw blade is moving up and down while turning the metal, so the saw blade is always straight. If you stop sawing, turn your metal then try to saw again, you will have twisted your saw blade and it will break. You can rub beeswax on the back of your blade to help lubricate it for a smoother sawing action. 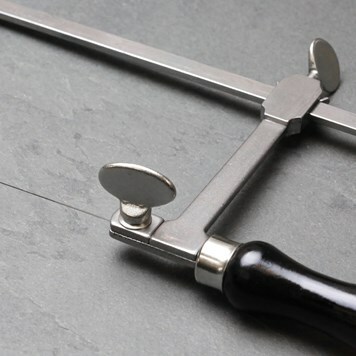 This high quality jewellers piercing saw frame is brilliant for both hobbyists and professionals. 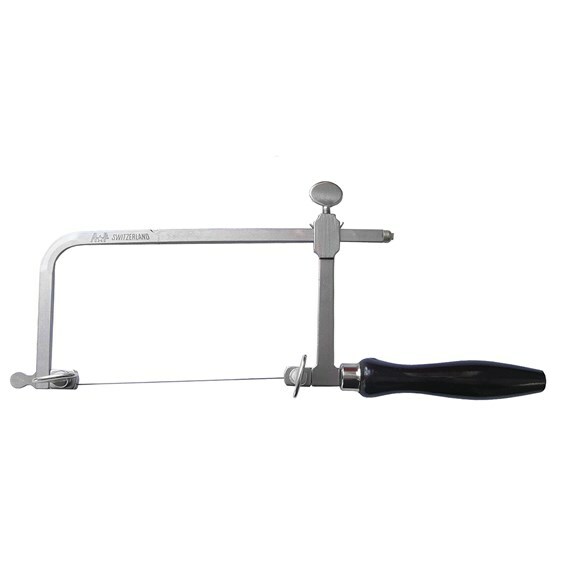 It has a classic design with a comfortable wooden handle, with easy tension adjustment which helps you reduce breakage of saw blades. Our jewellers saw and saw blades are sold separately. These high quality A*F Gold Shark branded Swiss made saw blades are made of hardened tempered steel with sharp, uniformly honed teeth for accurate and rapid cutting. In this video, Kim shares a tutorial on piercing internal shapes in metal. With top tips such as sticky tape to follow your design and using beeswax to lubricate the blade. Watch part 2 of this video below, where Kim shows you how to cut around the outside of the design with metal sheers, file the edges, add texture and punch a hole to create a jewellery design. We sent Kim a little package including beeswax and alligator tape to see what she thinks of them! 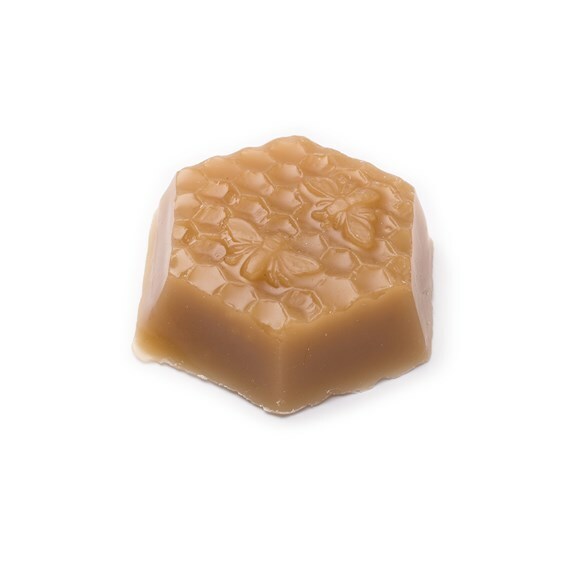 Our beeswax comes from a local Cornish farm very close to our office. Kim shares why it's important to lubricate saw blades to help the blades glide through the metal and prevent it from sticking. Alligator tape is also a brilliant product to use daily as it protects your fingers while at the bench. In Kim's videos, she shows her love for our Cornish natural beeswax used to lubricate saw blades and help them glide through the metal and prevent it from sticking. 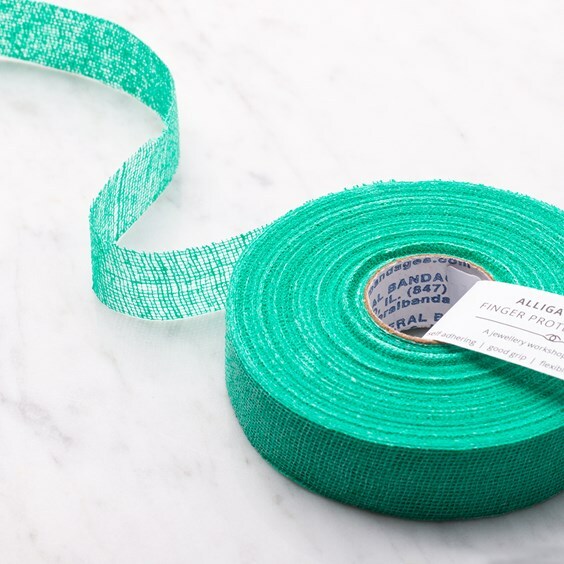 Alligator is a popular finger protection tape loved by jewellers! It's self-adhering which protects you from minor cuts, abrasions and burns. It's thin and flexible and gives you great grip at the workbench. This is such a great technique on how to cut multiple layers in metal. This is great if you would like to create matching pairs such as earrings and save time in the workshop. Kim shares a brilliant tutorial, showing you each step of cutting the metal, attaching the metal together, sawing and adding texture. A bench peg and anvil is a workshop essential! Kim shares with you a quick overview of what to expect when buying a bench peg, how to use it and the options available. 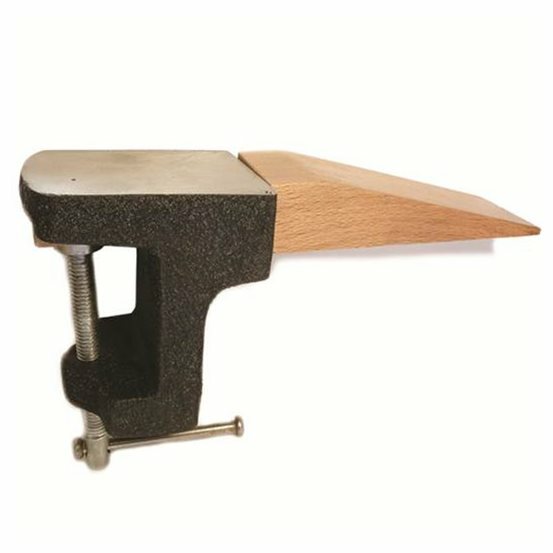 The anvil and bench peg is an essential for your workshop. Simply screw it onto your workbench or table, to give you a flat, steel surface for hammering on a wooden peg. At Kernowcraft, we have two high quality jewellers benches to choose from as well as an optional jewellers bench. These are perfect if you plan to make jewellery at home, and comes with a semi-circular tool holder great for storing tools in. 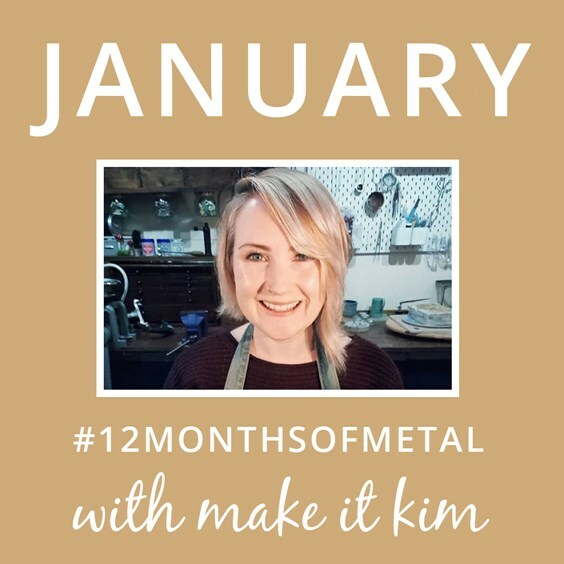 In January, Kim showed us some brilliant tutorials on basic cutting of metal, filing and polishing. This is an excellent resource for beginners or even experienced jewellers, who want to master the basics of jewellery making.